Black Friday is finally upon us. 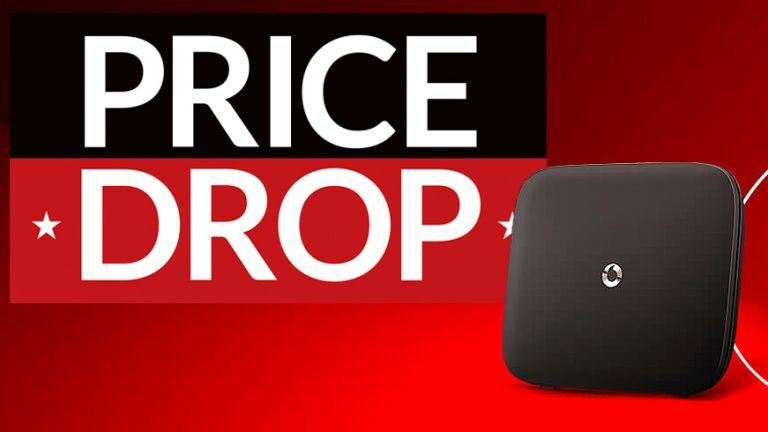 If you're looking to upgrade your home broadband in the blockbuster sales event, this new deal from Vodafone isn't to be missed. Not only has Vodafone trimmed its monthly prices to a ridiculously low rate for superfast fibre internet, but there's also a £50 voucher up for grabs as well. All you need to do is bag this broadband deal with Vodafone by Monday November 26 and Vodafone will throw-in a £50 gift card for your choice of either Tesco, Currys PC World, Costa, or Ticketmaster UK. So wherever you're hoping to spend your free money, this voucher has you covered. The Black Friday £50 voucher is valid on a choice of two broadband plans. First up is Vodafone's ridiculously cheap Superfast fibre broadband for £20 a month. With its minimum speed guarantee of 25Mb, this is one of the cheapest deals we've seen. If you're looking for something that'll withstand a whole household streaming 4K Ultra HD and gaming online, look no further than the Vodafone Superfast 2 plan. For an extra fiver a month, this broadband plan cranks up the speed to an average of 63Mb – around 8MB per second. Better still, Vodafone won't surprise you with any costly upfront charges, since all of its fibre broadband plans come with free activation. Brilliant. When it comes to avoiding slow connection speeds, Vodafone is leading the way where we imagine other internet providers are bound to follow. It offers new fibre broadband customers an internet speed guarantee with minimum speeds of 25Mb for Superfast 1 and 55Mb for Superfast 2. If Vodafone fails to deliver on the speeds, customers will be entitled to a 15% discount off their next monthly bill. It makes Vodafone's broadband plans the only widely available packages to offer such a speed guarantee in the UK. If you're not a fan of Vodafone's broadband offering, why not head to T3's best broadband deals page or use the price comparison chart below to see what alternatives are available to you.